Poynton High School and misplaced ideals! And here’s a charity that didn’t begin at home, more’s the pity given the outcome. A group of students have been sent back to the UK after Indian officials said they had the wrong kind of visa to visit a charity they were supporting. The 16 students and three staff were refused entry at Chennai Airport by immigration staff even though the school had made three previous visits. Poynton High School head teacher David Waugh said the school and local community was “shocked and saddened”.The school said airport officials claimed the group had no rights to enter the country on their visa because they were going to be undertaking work with a non-governmental organisation. The group had to return home with the toys and other items it was taking to the children in India. Categories: Education, Health, Lifestyle | Tags: charity, India, Poynton High School | Permalink. The Caudwell Children Charity (founded by phone millionaire John Caudwell) has abandoned its “Locked in for Autism” stunt after criticism from people on an online petition which said that it was offensive to suggest that’s how people with an autistic spectrum disorder had to live their lives. Alexis Ragaliauskas has autism and set up the petition saying “It’s very dehumanising and insulting. Caudwell Children need to get with the times. They are saying autism is like being trapped in a box which is offensive – quite a lot of autistic people throughout history have been restrained and put in boxes”. Tesco is a big supporter of such causes and a member of staff at the Burnley branch volunteered to stay in the glass box for 50 hours (see my post). I learned since that she raised over £2,000 so well done Alison. Tesco has now withdrawn its support for the stunt. Whether because of the petition or perhaps the revelations in a Sunday Times report last month that the charity was funding pseudoscience therapies for people with autism raised alarm bells. Caldwell Children has apologised “for any distress caused as that was most certainly not (the) intention”. However people need to be wary when they donate to charities which are spending money on unproven remedies. Categories: Health, Lifestyle, Relationships | Tags: Alexis Ragaliauskas, ASD, autism spectrum disorder, Burnley, Caldwell Children charity, charity, Lancashire, Locked in for autism stunt, pseudoscience, Tesco, unproven remedies | Permalink. Trip Adviser……..the organisation that likes to send begging e-mails! I never trusted Trip Advisor – which is owned by Expedia – after all the bad press about sabotaging rivals with fake reviews etc but this is ridiculous. Over the last several years I have contributed reviews to Trip Adviser about hotels, cities, restaurants and various other touristy things. Whilst I have some reservations about Trip Adviser I worked on the principle that I would be as honest and objective in my reviews as possible, and if I was critical of something then I would try to explain why. Some of my reviews have had numerous visits and indications are that people found them useful. So far so good. “Thanks to travellers like you, the TripAdvisor community raised more than $500,000 for refugee crisis relief last December. Today I’m reaching out again because we have another opportunity to make a major impact. Categories: Lifestyle, Recreation | Tags: charity, economic migrants, Expedia, PR exercise, refugees, Trip Advisor | Permalink. AN ARGUMENT often advanced for the encouragement of religion is that, to paraphrase St Matthew’s report of Jesus’s words, it leads people to love their neighbours as themselves. That would be a powerful point were it true. But is it? This was the question Jean Decety, a developmental neuroscientist at the University of Chicago, asked in a study just published in Current Biology. Dr Decety is not the first to wonder, in a scientific way, about the connection between religion and altruism. He is, though, one of the first to do it without recourse to that standard but peculiar laboratory animal beloved of psychologists, the undergraduate student. Instead, he collaborated with researchers in Canada, China, Jordan, South Africa and Turkey, as well as with fellow Americans, to look at children aged between five and 12 and their families. Categories: Happiness, Lifestyle, parenting, Psychology, Relationships | Tags: artheism, charity, compassion, faith, religion | Permalink. We each eat three a week on average or 12kg a year and 20% of us eat one every day. However we also throw away 160 million of them according to a survey by Sainsbury’s – enough to stretch from the UK to New Zealand. One in three of us throw a banana away if it has the slightest blemish or black mark. Someone wrote to the Times bout this saying that they got bruised because supermarkets store them the wrong way. They put them on the shelves “canoe” style rather than like an arch or hanging them which makes them bruise more easily. Food waste is worse than packaging waste as it produces methane, which is more likely to cause global warning than carbon dioxide. Categories: Appearance, Health, Lifestyle | Tags: ASDA, bananas, charity, food banks, food waste, Morrisons, Sainsbury, Tesco | Permalink. Who the eff does Bob Geldof think he is? Insulting your fans who’ve paid good money to see you headline a music festival is not usually a good idea. Bob Geldof, the one-hit wonder with the Boomtown Rats who got involved in charity work in Africa through Band Aid in 1984 (and seems to have made a lot of money out of it – well he’s not made any records), berated fans at a charity festival in Essex with foul-mouthed expletives for wearing cheap Primark clothes. So this so-called celebrity anti-poverty campaigner criticises people for wearing affordable clothes. An Irish non-dom at that. It went down like a lead balloon. The crowd booed him and walked out and the press across the political spectrum had a go at him. The Telegraph referred to him as an example of a liberal “sneerer” and the Independent called him a “lefty boho windbag” who exalts the working classes but never actually walks among them. I think someone who posted on twitter sums it up quite well: “Horrendous individual who loves the sound of his own voice. He hasn’t made a decent track in decades“. Categories: Appearance, Music, Relationships | Tags: anti-poverty campaigner, Bob Geldof, Boomtown Rats, charity, I don't like Mondays, lefty boho windbag, liberal sneerer, music, music festival, Primark | Permalink. Not strictly true any more is it. 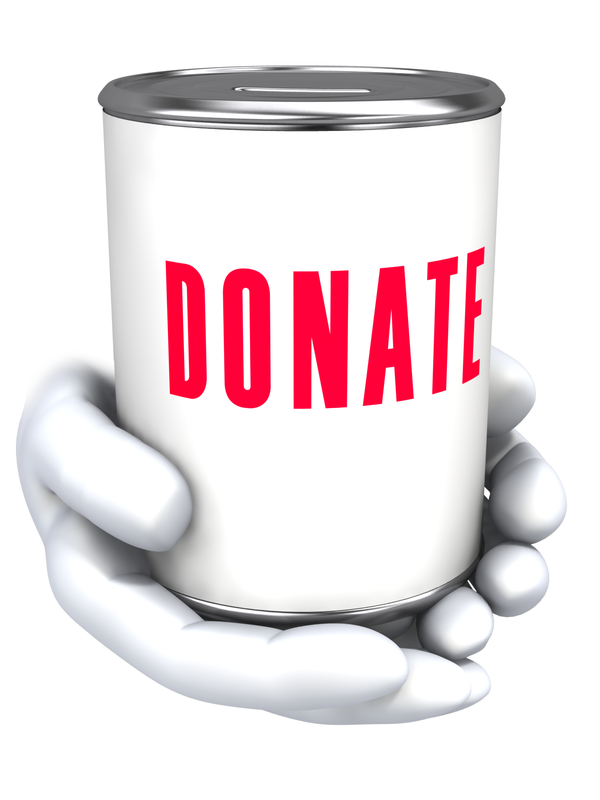 Although you are encouraged to contribute to charities from the comfort of your own home via telephone or even an app. There’s some talk about “charity fatigue” this year. Well we’re just coming out of a recession (allegedly) but most of us aren’t see any change in our standard of living. Except of course for the very rich like Chief Executives who on average last year were paid £4.5 million (up 21% from the previous year), top premier league footballers who earn that much in a week. OK I exaggerate, they only get paid half of what CEOs get (plus image rights and other perks), and popular entertainers. One thing these three groups have in common is that most of them don’t like paying their taxes and many footballers and entertainers have been involved in aggressive tax avoidance schemes. Remember Gary Barlow? So why should we listen to these entertainers when they come on TV asking us to donate to charities such as Children in Need (which raised £30+ million) or buy the updated Band Aid 30 single? It seems that all the people involved in these events are promoting themselves. I want to know if they got paid to appear on Children in Need and if they contributed themselves (and if they did how much)? Maybe they didn’t get paid and it was just a way to promote themselves and get a tax write-off. As for Band Aid 30, these are all very rich people and could all afford to donate a million pounds and not bother the rest of us. But they probably want to hang on to their money (I still don’t understand how Bob Geldof got so rich on the basis of one hit single with the Boomtown Rats and how he can afford to go globetrotting – unless the charities are paying for it). But whatever these self-publicists are doing or not doing, the truth is that we are a generous nation. More than 28 million Britons make charitable donations every year, raising an annual total of about £10 billion, according to the Charities Aid Foundation, but the economic downturn took its toll and almost one in five Britons say they gave less to charity after the recession in 2008. It all leaves a sour taste in my mouth. Children in Need raises money for disadvantaged children but they usually aren’t starving as in other parts of the world and I’d rather see it go to medical research. As for the Banda Aid 30 single raising money for Ebola; it’s a terrible disease but let’s put it in perspective. It’s killed just over 5,000 people in 6 African countries. In three of those -Nigeria, Senegal and the Congo – the outbreaks have been controlled an eliminated. In the UK 60,000 people die each year from the direct effects of dementia (and it’s the leading killer of women in the UK). Malaria killed 627,000 people world-wide in 2012. Given the scale of the disease and the fact that the government has sent teams to build hospitals and train medical & nursing staff over there ask yourself why they chose Ebola over these other more wide-spread causes of death. As Virginia Blackburn said today in the Daily Express, these are muslim countries that don’t recognise Xmas anyway. Finally I’m with the Sky News reporter who asked Geldof a simple question about the wealthy people in the studio. viz if they all paid their taxes in the right way would we need to have a fundraising single? Geldof’s swearing led to the interview being pulled. Was that deliberate obfuscation? We’ll never know because of the wimps at Sky. Categories: Health, Relationships | Tags: Band Aid 30, Bob Geldof, charity, Charity Aid Foundation, charity fatigue, Children in Need, Ebola, tax avoidance | Permalink.